Below is an email sent by the Rev. Dallas Wilson, the Vicar or St. John’s Chapel. It was originally distributed to thank Holy Cross-Daniel Island for a handicap ramp at the chapel. However, since the content meets our goal of promoting good stewardship in the Diocese of South Carolina, the email is submitted for your review. Enjoy! Give generously to him and do so without a grudging heart; then because of this the Lord your God will bless you in all your work and in everything you put your hand to (Deuteronomy 15:10). We were just given a wonderful $4,500 gift by some wonderful people at Holy Cross, Daniel Island. These same people, along with “Ned” Collins, Russ Robinson, and those who attend Christ-St Paul’s, Younges Island (Steve Coffin- Plantation Masonry) were instrumental in the construction of the ramp to this point. This has been a labor of love to further the outreach vision at St. John’s Chapel: The inclusion of those who are spiritually, emotionally, and physically challenged into the “uncomplicated” worship experience at St. John’s Chapel. The leadership at St. John’s Chapel believes in Biblical Tithing, the giving of Alms, Gleanings and lastly and most importantly, Sacrificial Giving. The request for the ramp “for the challenged” falls under the category of Sacrificial Giving. A vital part of our worship is giving of our “time, talents & treasures”. It is our belief that we are to respond to the needs of the church and God’s people, “the Body of Christ”, in a loving, sacrificial manner. What motivates me to give sacrificially is that, I believe God calls us to reach beyond our comfort, to survey the comfort of others, in other words, this type of giving is related to the principle of stewardship versus ownership. I also believe that this type of giving fortifies our faith and augments our spiritual growth. The Bible states that in no uncertain terms, that if we merely give out of our excess we don’t give God the opportunity to prove his faithfulness. That’s like lifting a very light weight. It won’t strengthen your muscles. But when we give sacrificially, when we give to the point of it hurting a bit, we exercise our faith; we learn to trust in God by giving him a chance to prove himself trustworthy. Let me be clear: giving isn’t for God’s benefit. It isn’t for the church’s benefit. Genuine giving benefits us. It strengthens our faith and protects us from idolatry. Pray without ceasing! Pray that the Holy Spirit will guide your Stewardship Campaign from start to finish. Evaluate last year’s Stewardship Campaign. What worked well? What didn’t work at all? Did your parish respond with generosity? Why or why not? Without proper evaluation, you may repeat the mistakes of the past. Create a system that can be duplicated. If your Stewardship Campaign was successful, create a system where your success can be repeated. With a system in place, you don’t have to spend valuable ministry time thinking about things that you’ve already figured out. Plus, you can teach your system to new lay leaders who can help you next year. Talk about Stewardship often. Does your parish dread the Fall Stewardship Campaign? It may be because they haven’t discovered that Stewardship relates to all aspects of their Christian walk. Jesus taught more about having a proper perspective on wealth and material possessions than He did on prayer! Stewardship is what we do with what we have all of the time; therefore, find ways to incorporate stewardship throughout the year. Teach about the stewardship of time and commitment at the New Year when people have the passing of time on their minds. Have a sermon on the stewardship of talents the week of a ministry fair when parishioners can consider how their talents can glorify God and minister to others. John H. MacNaughton, in his book More Blessed to Give, suggests not combining the stewardship of one’s time and talent with the stewardship of one’s treasure during the fall campaign. Instead, MacNaughton proposes teaching on the stewardship of time around the New Year when parishioners have the passing of time on their minds. He also recommends teaching on the stewardship of talents in association of a ministry fair, or at some other time when parishioners are asked to serve the church with their talents. This way, stewardship is before the parish at various times of the year and not only with the church is preparing to assemble its yearly budget. Between annual stewardship campaigns, consider helping people in the parish to be able to afford to be generous. Someone told me once, “I may look good and smell good, but I’m broke!” Most Americans are poor financial planners; we have very little savings and we have an enormous amount of consumer debt. This includes the people sitting around you in the pews. Why not help your parishioners to take control of their personal finances so they can afford to be generous to the Lord? There are many Christian-oriented teaching plans like Dave Ramsey’s Financial Peace University and programs by Crown Financial Ministries that can help teach personal finance and good stewardship. Consider using an “outside expert”. In the secular world of consulting, an “outside expert” is someone from at least 50 miles away who comes and tells people what they already know. Your parishioners probably know at least a little bit about biblical Stewardship, but an outside expert may be able to provide a fresh perspective on Stewardship that opens spiritual eyes and generous hearts to the concept. Check with members of the Diocesan Stewardship Committee or Canon Jim Lewis for a list of potential “outside experts” who can give a stewardship presentation to your parish. Good stewardship is often related to good discipleship. Teach on biblical stewardship, and when you finish, teach and teach some more. Biblical stewardship and the principle of the tithe are foreign to a culture that “buys now and pays later”. Be patient and keep teaching. Start early. This concept has already been mentioned briefly, but planning cannot be stressed enough. Imagine the message that is being preached if the congregation perceives that the Stewardship Campaign was thrown together at the last minute. As your parish begins to plan for its 2014 Stewardship Campaign, perhaps the Diocese of South Carolina Stewardship Committee can help. This committee is dedicated to assisting all clergy and parishes to make Biblical stewards that grow the kingdom of God in the Diocese of South Carolina. The Diocesan Stewardship Committee strives to be a clearing house of the best written, oral, visual, and digital resources on Biblical Stewardship for the clergy and parishes of our diocese. Our committee includes The Revs. Jason Collins, Wey Camp, and Robert Horn. Please contact us if we can be of assistance. Welcome to the Diocese of SC Stewardship Blog! 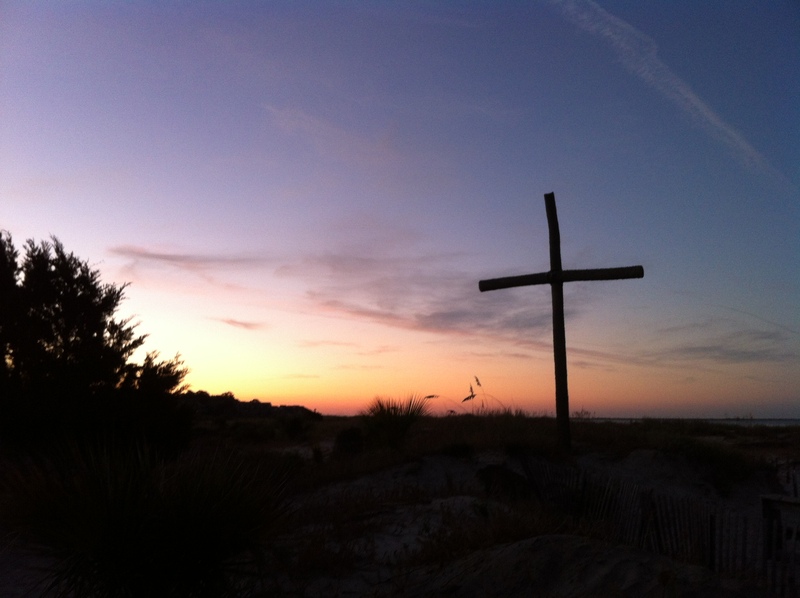 Welcome to the Diocese of South Carolina Stewardship Blog! This blog is designed to share information regarding Biblical Stewardship with the priests and parishes of the Diocese of South Carolina. The blog is published and updated by the Diocese of South Carolina Diocesan Stewardship Committee. The committee members are The Revs. Jason Collins, Wey Camp, and Robert Horn. The Diocesan Stewardship Committee will assist the clergy and parishes to make Biblical stewards that grow the kingdom of God in the Diocese of South Carolina. The Diocesan Stewardship Committee will be a clearing house of the best written, oral, visual, and digital resources on Biblical Stewardship for the clergy and parishes of the Diocese of South Carolina.